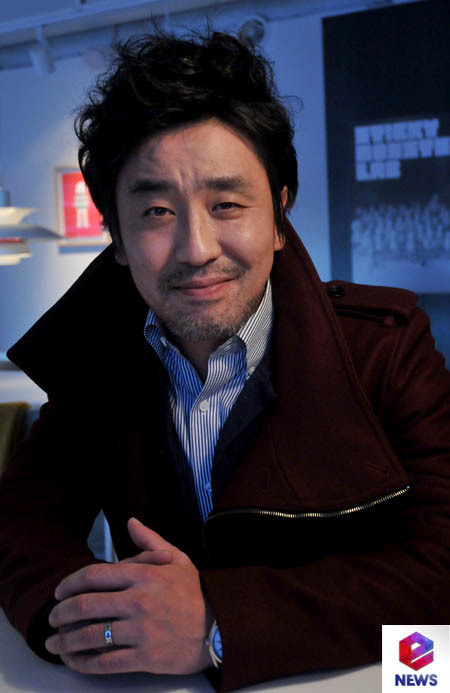 Ryu Seung-ryeong is a South Korean actor who’s famous for his performance in the film Miracle in Cell No.7. If you’ve ever watched the film you will definitely recognize the figure of Ryu Seung-ryeong as Lee Yong-gu. He started his career at the age of 15 on a musical stage, and made his debut in 2004 through the film Someone Special. Increasingly, his name is known as the most reliable actor in the field. He’s won many awards, cludingsuch as Best Supporting Actor, Best Actor, Grand Prize (film), and many more. When the Miracle in Cell No.7 aired, his wife and son cried at the sight of his acting. At the time, what the actor said was simply taken as a joke and people didn’t think too much of it. However, what Ryu Seung Ryong had said in that moment became a controversy, as some people claimed the actor’s statement was degrading women. Now, let’s look at the full profile of Ryu Seung-ryeong! 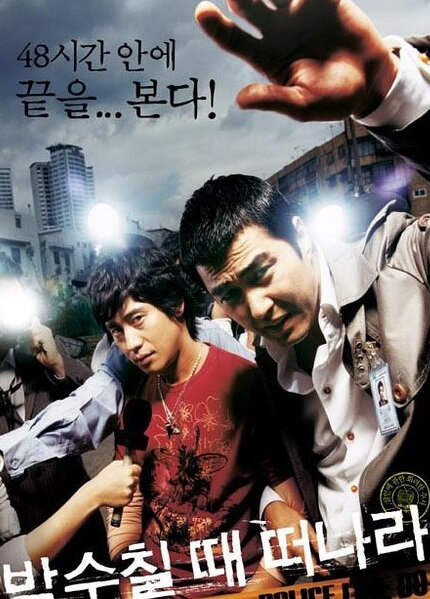 Murder, Take One wass the first film Seung-Ryeong starred in. The film was directed by Jang Jin, and Ryu Seung-Ryeong play the character of Sung-Joon. The film was released on August 11, 2005, with a duration of 115 minutes. The film is about the body of a beautiful woman which is found in a hotel room. She was a high-ranking employee of an advertising firm, and was discovered in a pool of blood. The police quickly nab the most obvious suspect near the scene, a young man clutching a canister of gasoline. As the hours slip by, the autopsy reveals new evidence, witnesses provides complicating testimony, and lack of sleep takes its toll on the investigators as internal tensions begin to mount. Matters take a turn for the weird when the TV producers bring in a spiritualist and her daughter to summon the victim’s ghost. Love, First is the fourth film in 2007 starring Ryu Seung-Ryeong. In the film, which is directed by Lee Han, Seung-Ryeong plays the role of Jung-Suk. This is a romantic film played by Seung-Ryeong along with Lim Jung-Eun. The film was released on December 19, 2007, with a duration of 111 minutes. This film tells about four couples with different stories, who finally find their true love. First couple: Se-Jin (Kam Woo-Sung) is head-over-heels for his girlfriend Joo-Won (Choi Gang-Hee), but he is worried that his otherworldly Joo-Won may disappear one day, and he will be left all alone. Second couple: So-Hyun (Lee Yeon-Hee) falls in love with Ji-Woo (Jung Il-Woo), a senior in college who has been left heartbroken by another girl. So-Hyun asks Ji-Woo to teach her how to drink as an excuse to spend more time with him. Third couple: Jung-Suk (Ryoo Seung-Ryong) and Soo-Jung (Lim Jung-Eun) who are struggling to start their relationship, as Jung-Suk is still not over his dead wife. And the fourth couple: Jin-Man (Uhm Tae-Woong) who has been on a free hug campaign, returns to his homeland after six years to meet his former girlfriend. My Girlfriend is an Agent is a film directed by Shin Tae-Ra, and was released on April 23, 2009, with a duration of 112 minutes. This film is a film was a very popular Romantic-Comedy film in 2009. Ryu Seung-Ryeong plays Won-Seok. The movie tells the story of a secret agent who works undercover as a bride-to-be real estate agent. Her real-life boyfriend is completely frustrated over Su-Ji’s frequent absences and even harder to believe excuses. Her boyfriend then decides to leave her, and for that matter, the country of Korea itself. He calls his girlfriend at the Incheon International Airport at the airport, but unfortunately his girlfriend is unable to answer his call because she’s working undercover to bust an international crime organization. In the film The Recipe, Ryu Seung-Ryeong became the main character, along with Lee Yo-Won and Lee Dong-Wook. Ryu Seung-Ryeong plays Choi Yu-Jin while Lee Yo-Won and Lee Dong-Wook play Jang Hye-Jin and Kim Hyun-Soo. The film was released on October 21, 2010, with a duration of 207 minutes. The film tells the story of a television producer who hears about a prison inmate and is researching his story for an upcoming news report. Then he comes across a mysterious woman who makes dojoang jjigae that brings tears of joy to those who taste her recipe. As he delves further, he learns of the mysterious woman’s heartbreaking relationship with other men. Masquerade is a film directed by Choo Chang-Min. 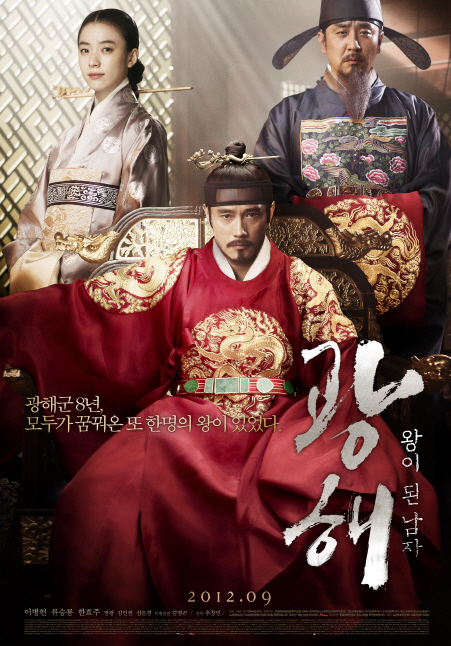 Besides starring Ryu Seung-Ryeong as Heo Gyun, this film also stars Lee Byung-Hun as King Gwanghae, Lee Byung-Hun as Clown Ha-Sun, and Han Hyo-Joo as Queen. The film was released on September 13, 2012, with a duration of 131 minutes. The film tells about King Gwanghae, who has been the King for the past eight years. He now suspects that someone in the royal court is attempting to poison him. In response, King Gwanghae orders his councilor, Heo Gyun, to find someone that looks like him to sit in his throne. The councilor comes across a clown who performs lewd shows in front of drunken noblemen. The clown strongly resembles King Gwanghae, and is able to imitate the way King Gwanghae speaks. The councilor takes the clown to the royal palace without giving any explanations. At night, Ha-Sun takes the King’s seat, while the King slips away to its mistress’s home. Miracle in Cell No.7 was a very popular film in 2013. The film, which was released on January 24, 2013, is very moving and definitely makes you cry. If you watch this movie, you don’t forget the main players Ryu Seung-ryeong as Yong-Goo and Kal So-Won as Ye-Sung, don’t forget Park Shin-Hye also participated in this film. This film tells the story of a father who is mentally handicapped, but loves his daughter very much, and is falsely accused of a crime and sent to prison. Later, his daughter is a law school student who works to prove his innocence. Back in 1997, father lived happily with his daughter Ye-seung, even though he has the intelligence of a child. Moon Sailor that he hopes to buy his daughter. One day, they notice that last yellow Sailor Moon backpack is being sold. He goes inside the store to plead his case, but the father buying the backpack ends up slapping him. The Sound of a Flower was a pretty popular film in 2015. Ryu Seung-Ryeong and Bae Suzy participated in this film. Ryu Seung-ryeong plays Shin Jae-Hyo and Bae Suzy plays Jin Chae-Sun. The film was released on November 25, 2015, with a duration of 109 minutes. The film tells about how, in 1867, Shin Jae-Hyo leads the Dongrijungsa, which teach pansori (traditional Korean musical storytelling). A young girl, Chae-Sun, who wants to perform pansori, appears in front of him. Chae-Sun has dreamed of performing pansori since she first heard Shin Jae-Hyo performing when she was little, but Shin Jae-Hyo turns her down because women are not allowed to perform pansori. 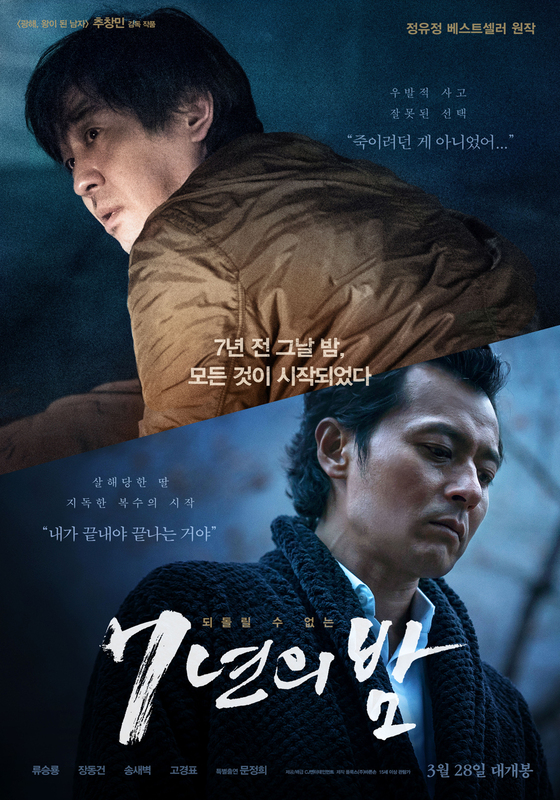 Seven Years of Nights is a film that has starred Ryu Seung-Ryeong in 2018. The film was directed by Choo Chang-Min, and was released on March 28, 2018, with a duration of 123 minutes. In this film, Ryu Seung-ryeong plays Hyun-Soo. This film tells about Seo-Won (Go Gyung-Pyo), who has gone through a lot as the son of a murderer. He learned that his father was executed. Seven years ago, his drunken father Hyun-Soo, working as the leader for a management team at Dam, drives out to Seryeong Village where the dam is located. His car hits a girl and he throws the girl into the lake. Since then, Hyun-Soo goes crazy from the guilt.